BACPS Fall 2014 meeting |Sundews Etc. 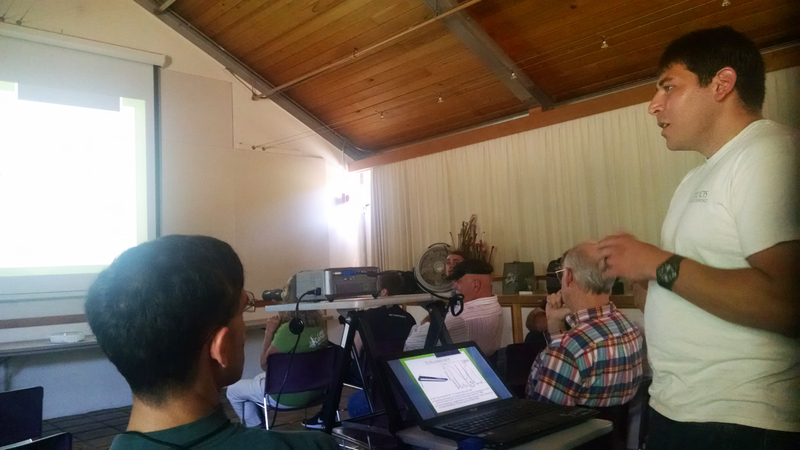 This last Saturday was the Fall meeting of the BACPS, held at the UC Botanical Garden. 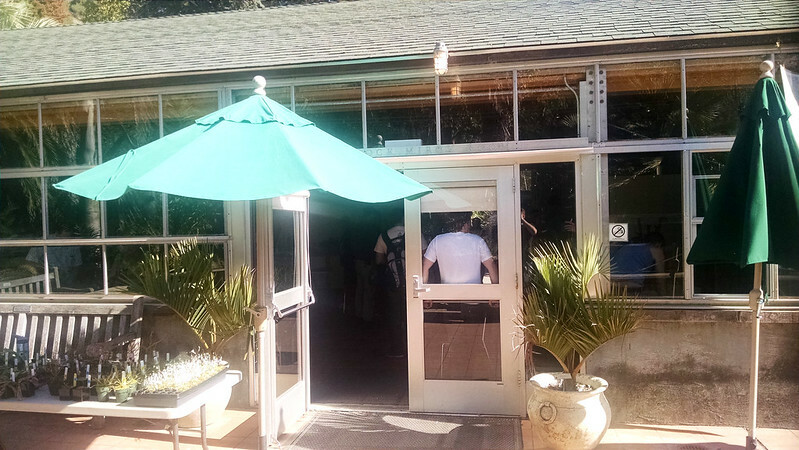 It was held as usual in the Conference Center, near the Tropical House. 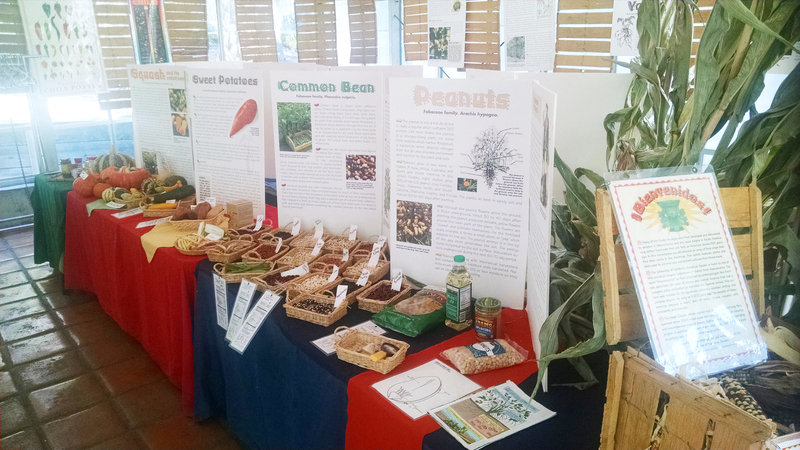 Unlike usual, the smaller room in the Conference Center was occupied by a pretty cool display about food crops in the Americas. I think this was a fall harvest sort of display, and a very good one. Also unusual, but less cool, was that due to various miscommunications the meeting was scheduled on a Cal home game day, which caused problems with traffic and road closures and definitely reduced the total meeting turnout. However, it was still a lot of fun. People were milling around and chatting before the meeting actually got started. Chatting is half the fun. 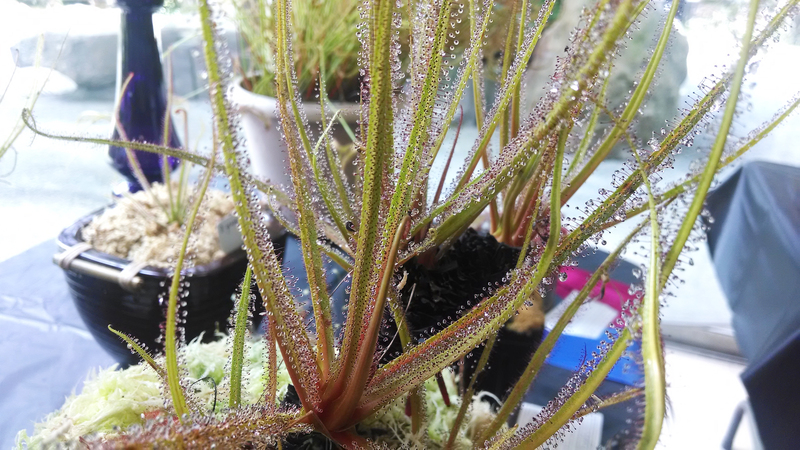 The featured presenter of the meeting was Drew Martinez, a fantastic grower who had a number of winning plants at the 2014 BACPS Show (including a Drosera regia that I think was my favorite plant there). 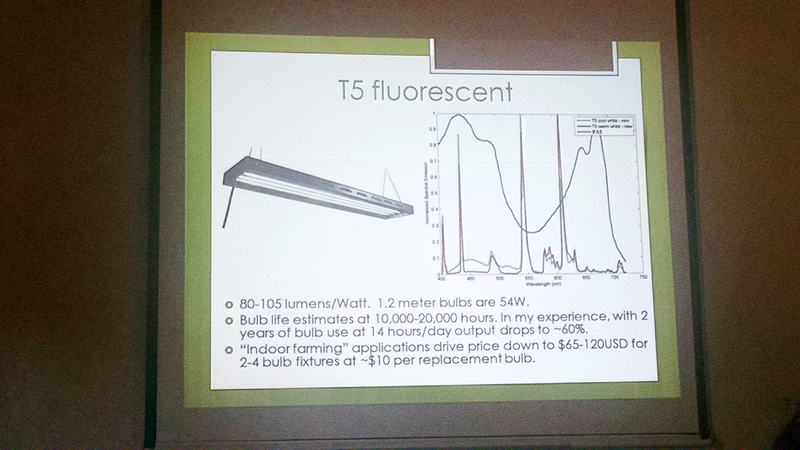 He also has an MS in optical engineering, and was there to talk to us about artificial lighting. The talk was jam-packed with information! In fact, a little too jam-packed – apparently this is supposed to be more like a 2 hour presentation, and he managed to squeeze it into about 45 minutes. He discussed which wavelengths of light are photosynthetically useful to plants, how much of that light is produced by various sources of artificial lighting, and efficiency per watt and also in terms of cost. One of many extremely useful slides. I wish I could consult them regularly! This was all extremely useful information, but as I said, it was definitely an abbreviated presentation. Apparently his data will be published by the Associazione Italiana Piante Carnivore (in English) in their next quarterly journal. Anyone who is interested in artificial lighting for carnivorous plants should check it out. To spoil the surprise a bit, cool white T8 bulbs seem to be overall the most efficient in terms of photosynthetically-useful light per watt. LEDs are currently best used for specific purposes, such as smaller spaces, or to encourage certain characteristics (deeper color, for example). This is a gross simplification, so just make sure to hunt down that article when it's published! I'll share it if I find it first. The other main part of the meeting was an informal "late bloomers" show. 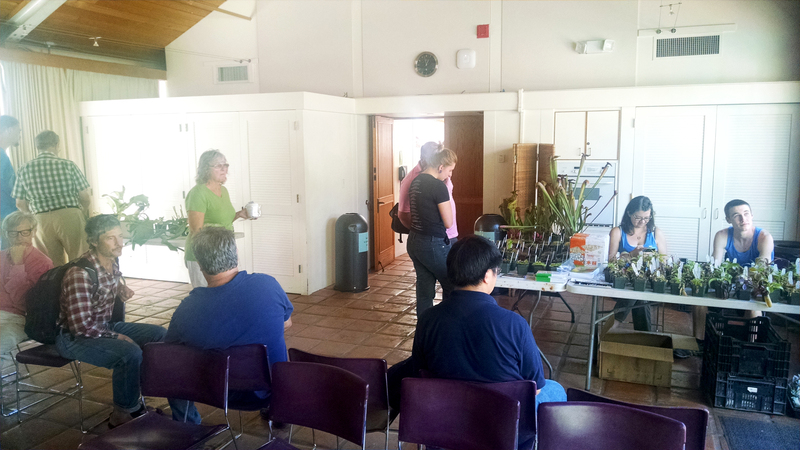 This was a chance for members to show off plants that are looking better now, in early fall, than they were back in June at the annual show. Unfortunately there were only 4 plants entered, probably partly due to some people skipping the meeting because of the football game. 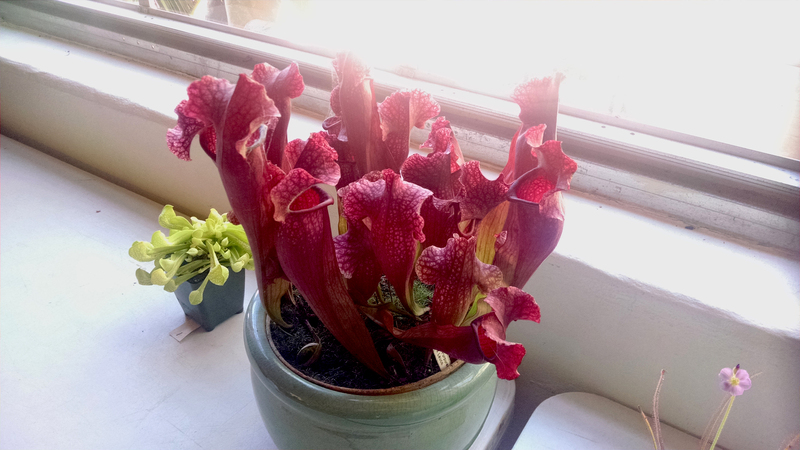 There was an anthocyanin-free Sarracenia psittacina from Larry Logoteta, a Sarracenia hybrid from Doris Quick, my own Drosera spiralis, and a Drosophyllum lusitanicum by a fellow named Richard from San Jose. AF S. psittacina, Larry Logoteta. 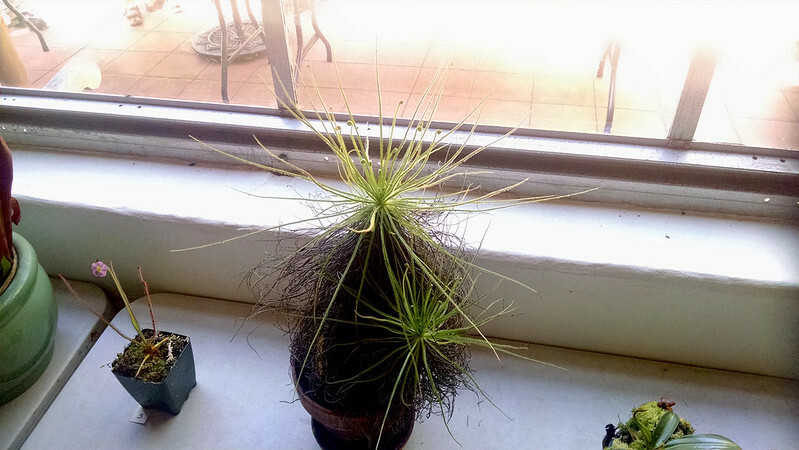 Drosera spiralis, Devon Peterson (that's me!). Drosophyllum lusitanicum, Richard (I'll add a last name later if I can). This was my favorite. My D. spiralis was kind enough to bloom for the meeting, and it impressed enough people for me to win a $15 gift certificate to California Carnivores. Fernando Rivadavia commented that the flower had been open for a long time, and it really was. It was fully open at 11 am or so when I started getting ready to go to the meeting, and it only started closing around 3 pm. 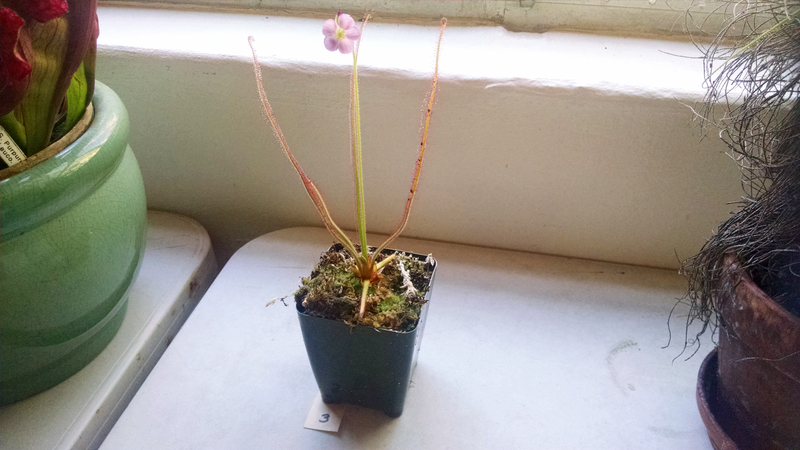 That's a long time for a sundew flower! The meeting was pretty fun, even though it was a bit stressful with the football game and all. I mentioned to Stephen and Doris, two of the board members, that I'd be interested in getting a bit more involved with the BACPS, so we'll see what I end up doing. I'd really like to have more regular, casual meetups with local growers. That'd be a fun way to swap plants and information. I'll leave you with two pictures of plants from the vendors. 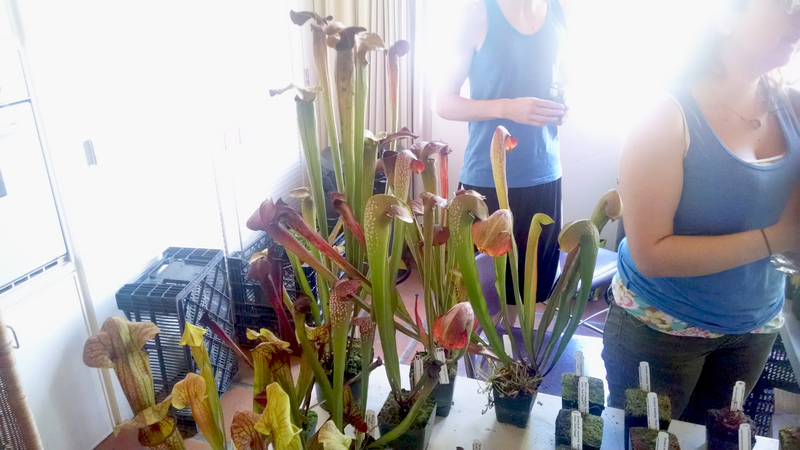 First are some enormous Sarracenia minor var. 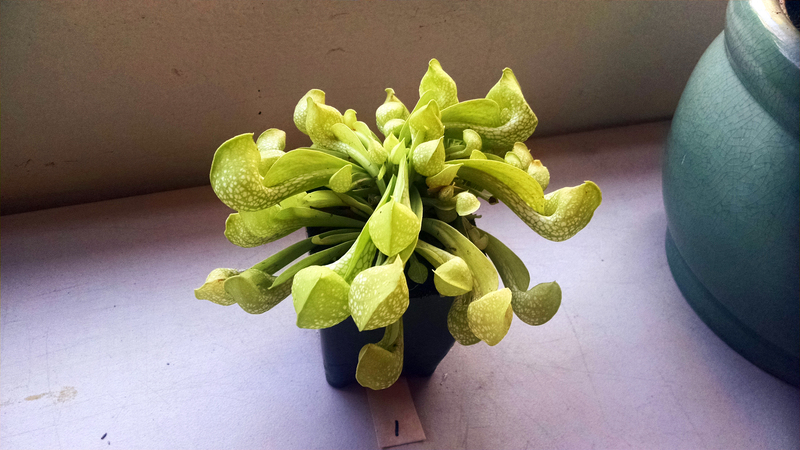 okefenokeensis and Sarracenia alata var. 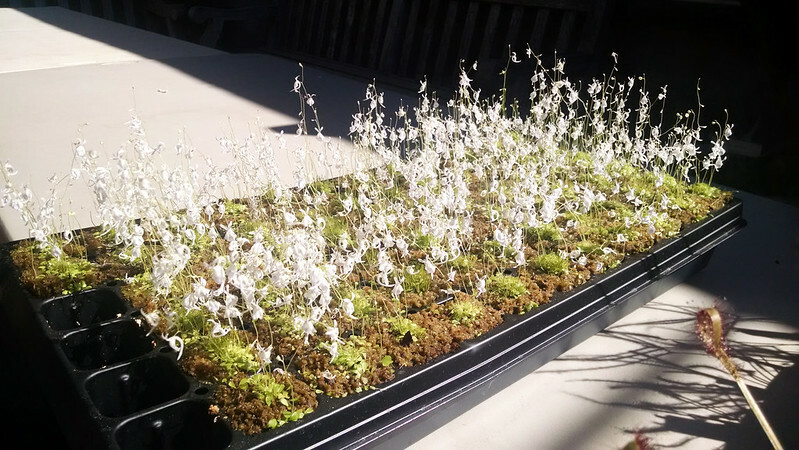 rubricorpora that were amazing (though a bit out of my budget) from California Carnivores, followed by an incredibly darling tray of Utricularia sandersonii from Predatory Plants. These are mature divisions from their outdoor bogs. Really amazing plants! A whole field of angry bunnies! Thanks for the photos (that AF psitt is my favorite!) and summary of the meeting! I wish I could go, but I currently work every Saturday. Hopefully one day! Would they allow people from other countries ? I'm from Romania and user from flytrapcare forum. Do you know how Predatory Plants takes care of the Utricularia sandersonii? How far from the lights?? ?